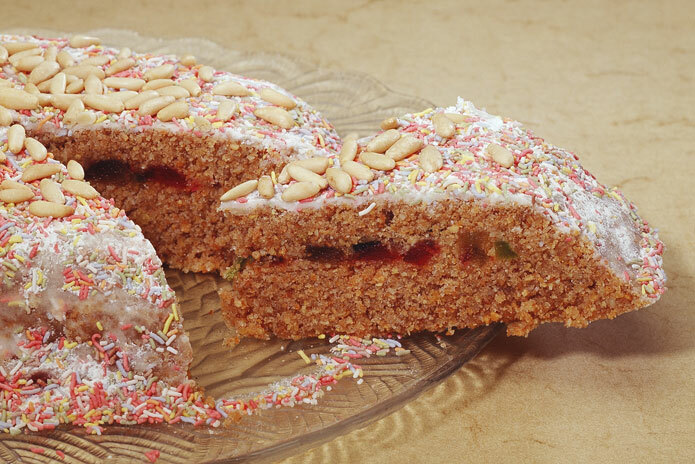 The range in this industry is fantastic, one of the most extensive and varied in Spain – sweet and savoury cakes and pastries, puddings and desserts. 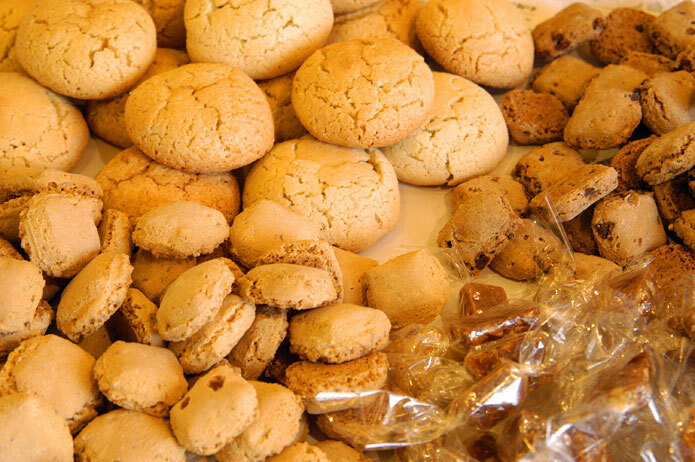 The Menorcans’ sweet tooth and traditional methods plus optimum-quality ingredients (from flours to cheeses to fruit) is evident both at home and in the cake-shops and bakeries. Even in 1887 (according to the book Menorca y su gastronomía by J.M. Pons Muñoz), there were 40 confectioners on the island and three chocolateurs – but only one dentist! The tradition dates back to muslim times, and changing and improving as other cultures arrived and left their mark – catalán, British and French. 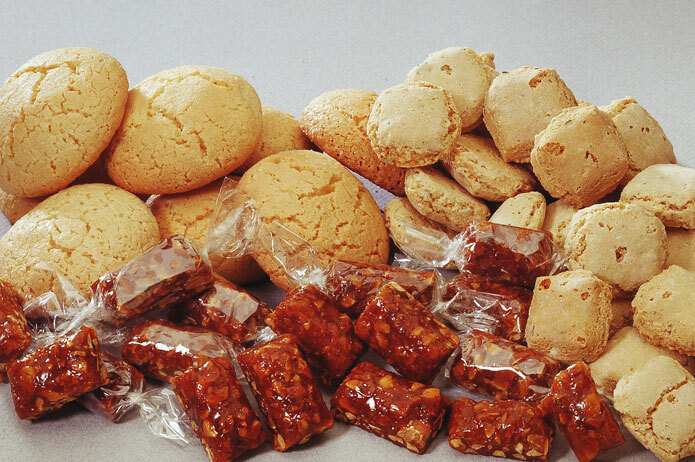 The recipes have been passed down over the generations and were prepared according to the festivities and religious calendar over the year - greixeres at Carnaval, formatjades at Easter, ensaimadas con chocolate a la taza in the summer fiestas, buñuelos (dumplings) at All Saints and tortada, turrones and cuscussó for Christmas. Nowadays these products are available throughout most of the year. There is a great choice of savoury pastries known as coques (dough topped with sofrito, vegetables, meat, fish, fruit and even sobrasada), rubiols of meat or fish (like a pasty), bread-rolls with sobrasada, flaons (pastry filled with cheese and egg), formatjades (meat or sobrasada pasties...), etc. 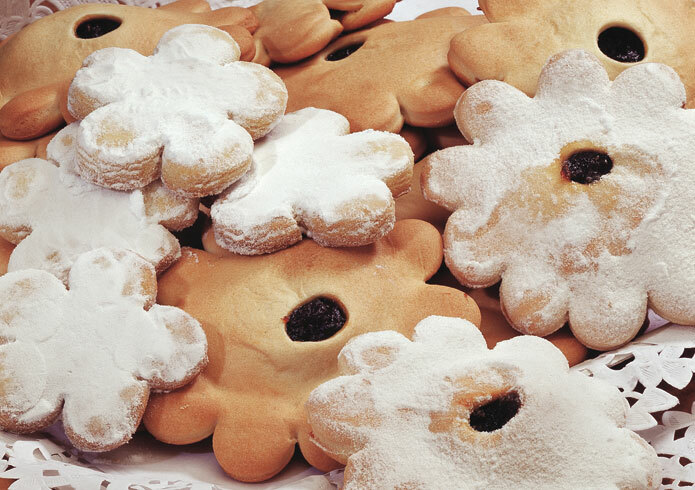 As for sweet cakes and pastries, there are the famous amargos (with almonds and honey, macaroons), carquinyols (also almonds but with a biscuit base), pastissets (in the shape of flowers), crespellines (small, filling pastry biscuits), crespells (also in the shape of a flower but filled with in the centre with cheese, jam, sobrasada...), stuffed ensaimada and the coca bamba or ensaimada de Menorca (this is a taller spongy pastry and is dunked into a cup of hot or cold chocolate).